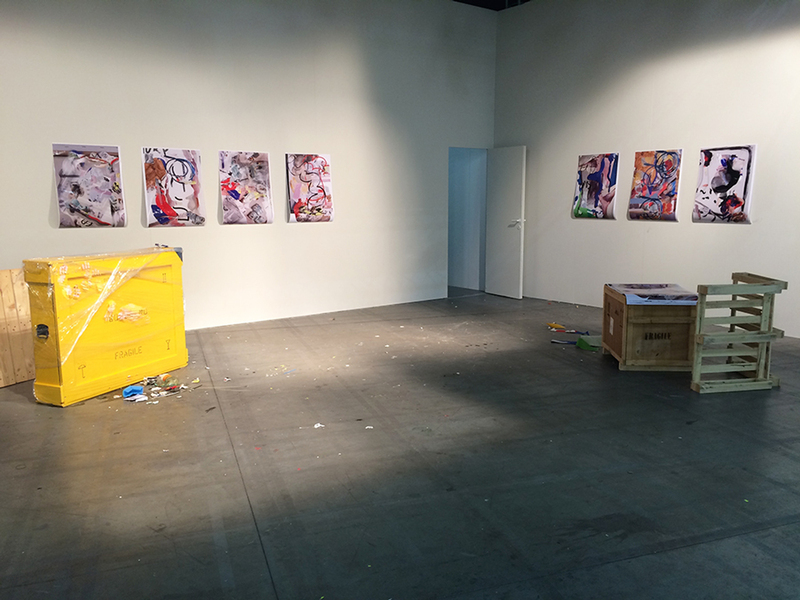 For Artissima 2014 Steciw / de Joode made an ‘Open For Business’ that used the art fair as its main ingredient. The symbols of the art fair, including; the booths, the money that flows, the sponsors, the artworks, the artists, art handling, the alcohol, the interns, the gallerists, the collectors… all these elements were incorporated; either physical or photographed. They sculpted, painted, installed, photographed and digitize these elements all in a days work, producing artworks with and in the same time about and on the fair.